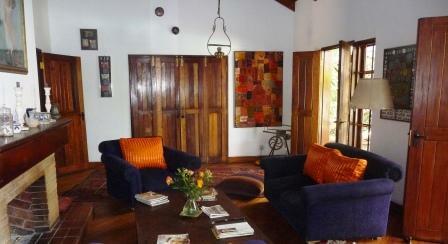 If you are looking for a perfect, convenient spot to stay while in Karen, Macushla House fits the bill. I had the good fortune of being invited by a dear friend to come along for a two night stay while she was on safari in Kenya. It made thinks easier to visit and we had things on our list to see in Nairobi, most of them in Karen, so it was a brilliant solution. 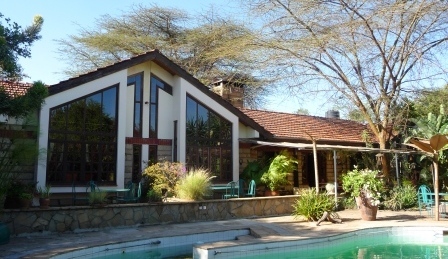 The House is a beautiful small welcoming hotel, located in a quite part of Karen, away from the noise and hustle of the city. 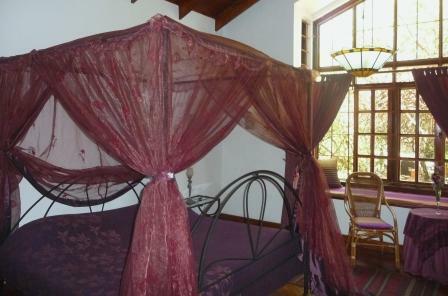 It is decorated in a lovely safari style, mixed with memorabilia from around the world. The Giraffe Center, David Sheldrick Elephant Orphanage, Utamaduni Craft Centre, Karen Blixen Museum and Kazuri Beads & Pottery are close by and all are within a 10-20 min drive, depending on the traffic. The friendly staff is attentive and helpful and the food is wonderful. Especially the breakfast! 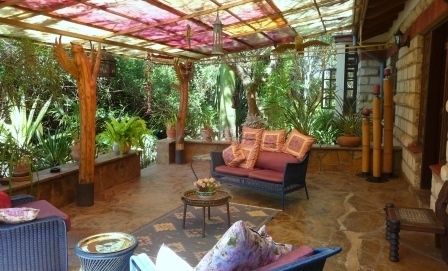 Karen, a nice suburb of Nairobi, also offers charming attractions, restaurants and delightful cafés. The hotel has a swimming pool and lovely outside sitting areas. Birds and velvet monkeys are everywhere, as well as two charming resident cats. 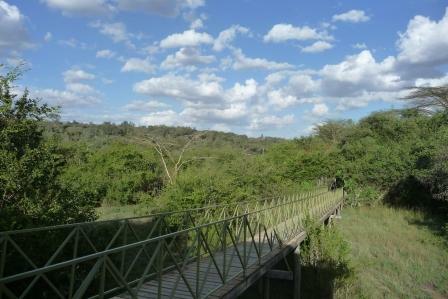 Being close to the International Airport makes it also an ideal place to relax pre- or/and post-safari. The hotel can arrange airport pick-ups and drop-offs. All the rooms are spacious with lots of closet space if needed and comfortable beds. It feels intimate, almost like home, and one can completely relax. The living room area invites you to sit, watch the fire when it is on, and possible catch up on some reading. Wander around the grounds a little bit; it is well worth it. There are beautiful trees, flowers, art scattered around the property and a little 'boardwalk' with a view over the extended grounds and possible opportunity to sit and watch a sunset. Would you like to stay at Macushla House? Please give me a little bit of your information, dates etc and I will check availability & cost and sort out the booking for you at the best price possible!! I'm also very happy to answer any questions you might have on what else to do while in Kenya and places not to miss!